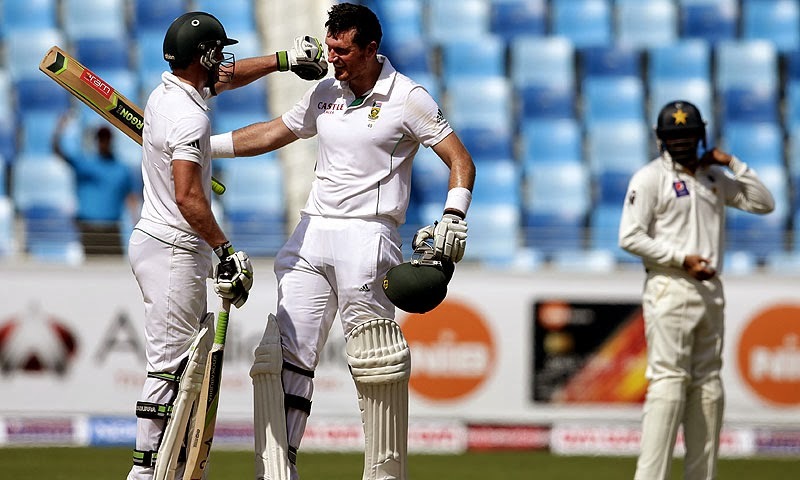 In the first test between Pakistan and South Africa, Pakistan won the match by 7 wickets and leads the series by 1-0. The second test started on 23rd and Pakistan first innings came to end for 99. At the end of the 2nd day, South Africa lead by 361 runs. The South Africa skipper Graeme Smith made many records with his undefeated 227 at the end of 2nd day. Smith crossed the milestone of 9000 runs in test career and stands at the 12th place in the list of most test runs. The list is topped by Indian master blaster Sachin Tendulkar with 15837 runs. Jack Kallis who stands 4th with 13140 is the only South African to lead Graeme Smith in the list. Smith marked his 27th Test hundred and also 5th double ton in test cricket. 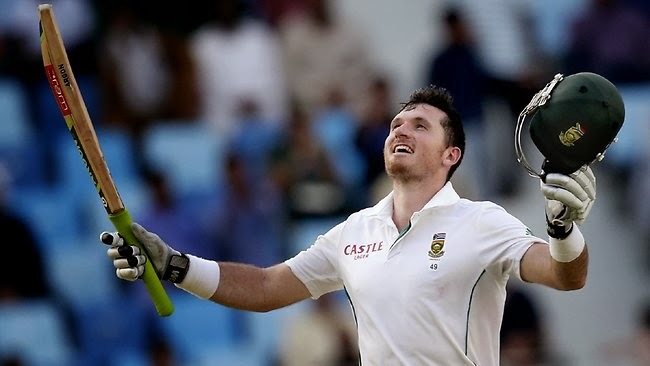 Though he made five double hundred in test matches, as a skipper Graeme Smith marked 4 double tons and stands 2nd in the list of Captains with most double Hundreds. This list is topped by Brain Lara with 5 double tons. Michael Clarke and Donald Bradman are the other two captains at the second place along with Smith. Smith now holds the 11th place along with Indian player Rahul Dravid in the list of most Double tons in test matches. This list is topped by Australian former player Donald Bradman with 12 double Hundreds. In overseas most double hundreds, Smith stands at second with 4 double tons whereas Donald Bradman, Brain Lara and Wally Hammond stands first with 5 double tons. With 227, he marked the highest individual test score in this year yet. The previous high score was by Indian Skipper Mahendra Singh Dhoni with 224. He also stands top at the individual high score as an opener in this year yet. The previous record was made by Indian Cricketer Shikhar Dhawan with 187. Best 5th wicket partnership of South Africa record has also been set by the end of 2nd day. 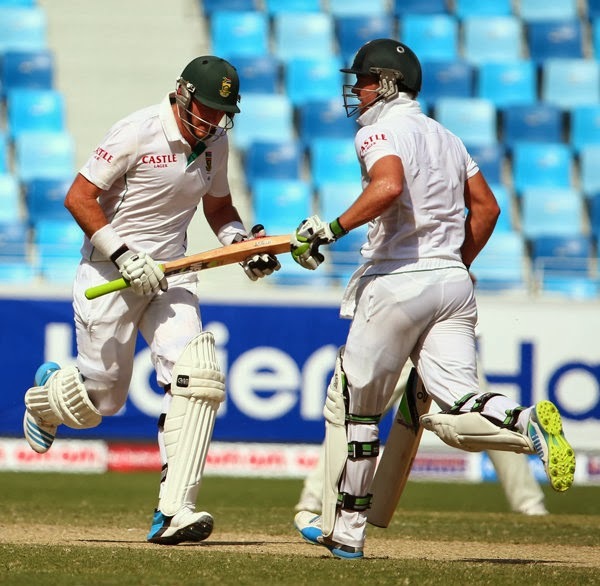 Smith and De Villiers made 326 runs undefeated and marked the best South African 5th wicket partnership. The previous record was made by Kallis and Prince with 267 runs. Smith as a opener scored 8792 runs and passed over Australian Mathew Hayden and marked the second opening batsman with most runs. The top spot in the list is marked by Indian former player Sunil Gavaskar with 9607 runs. Finally, Smith and De Villiers partnership stands to be the second largest fifth wicket partnership stand against Pakistan. They are 1 run behind the first place. The first place is marked by Australian Ricky Pointing and Justin Langer with 327 runs. This first place can be fixed by Smith and De Villiers today. The records are yet to be made as Smith and De Villiers stands undefeated at the end of second day.